I was sitting in my car furiously updating the live feed from the SCOTUSblog, waiting for news on the marriage equality ruling. Then, with my umpteenth down swipe, it was official. Dissents notwithstanding, the highest court, and ultimate arbiters of all-things-legal, in this amazing country of ours has ruled that everyone is free to marry the person they love and no state may refuse to recognize that choice. Justice Kennedy is 78 years old. He was appointed by President Reagan to the Court in the 80s. He is decidedly not a millennial. But he is part of this new generation, as we all are. The country is not the same as it was 200 years ago. And how awful would life be if it was? No toilet paper, no Starbucks, no Google, and no freedom–for so many. Justice Kennedy and the other four Justices who joined him are right. This is about liberty, so basic and so material for so many of us. And so easy to understand for the youngest among us. 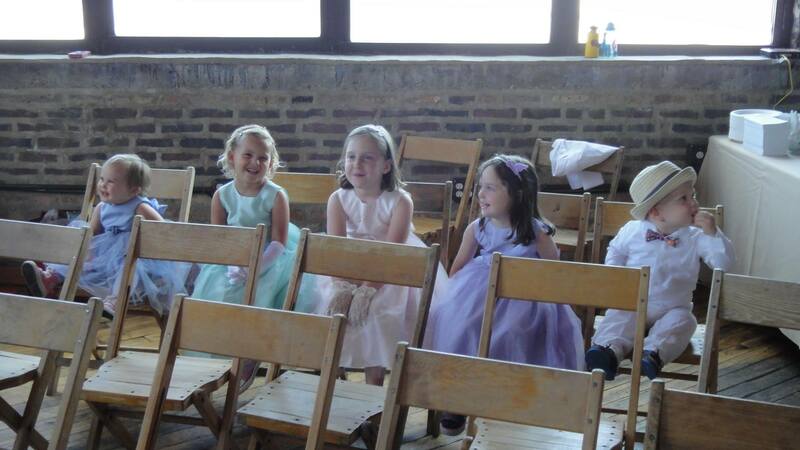 My kids were attendants in their first wedding two years ago. At 5, 3 and 1.5 they wore the fanciest clothes of their lives and walked down the aisle with their cousins, throwing dinosaur stickers instead of flower petals. Never once did it occur to them to ask why there were two brides. It was a wedding and a wedding to them was, and still is, about love–about a commitment to love and build a life with another person. So, it feels pretty amazing to sit here in my office [where I’m supposed to be working…sorry clients] and pour over the words of the Supreme Court. To be nodding along with joy in my heart and a smile on my face, the same way I used to feel when my mom read Shel Silverstein poems to my sister and me. The battle for equality is far from over. There are still so many wrongs to be fixed, and hearts to be changed and healed. But this morning, I’m awash with happiness and optimism. God [or whatever higher or inner power you choose to believe in] Bless America! ― Shel Silverstein, Where the Sidewalk Ends. ← Soggy metaphors for loss and love on the second day of summer camp. It is amazing to see people change their minds. To change the world. Like you said your kids didn’t think to question two brides. It is their normal, but for someone born when segregation was the law of the land to write such a great opinion is truly awesome. Totally agree, Ronnie. Happy weekend to you and your beautiful family!